I thought for Sepia Scenes I'd do something Spring-y. This flower is so pretty in its original pink color but I love it in sepia. I inserted a black aura around the flower from Photobucket and faded it a bit. 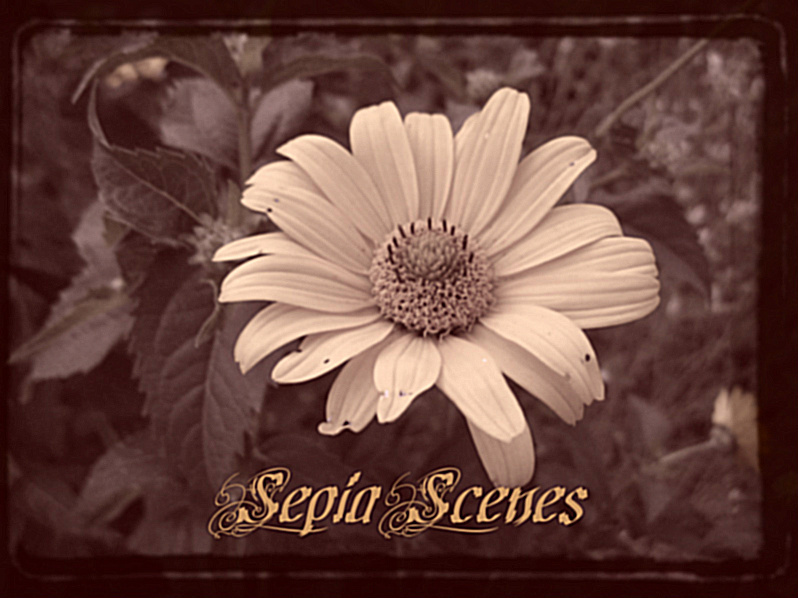 Pretty flower in sepia, Mary! The technique you used leads the eye right to the center and highlights it. Nice! 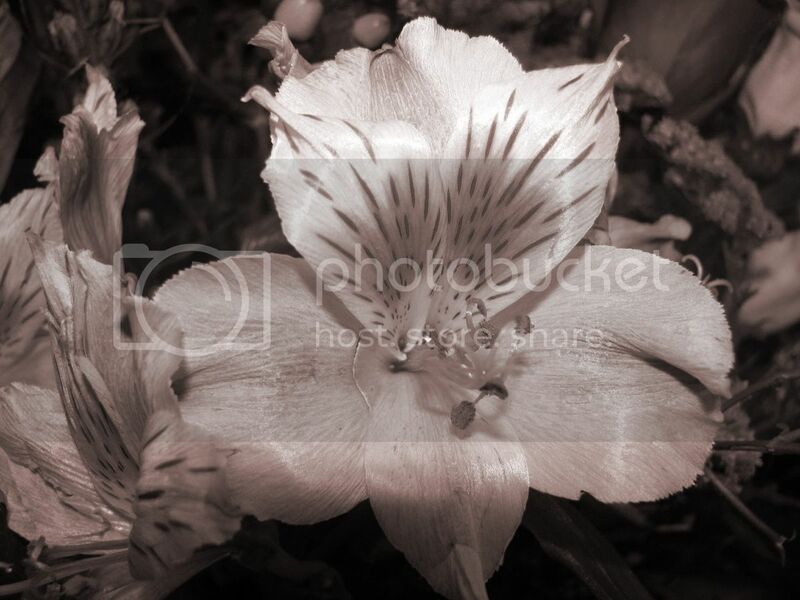 I love how the sepia brings out the details of the flower--it is simply gorgeous :) nicely done Mary. What an elegant look! Beautiful. Good choise. I am longing for the spring. Beautiful! I agree the flower is lovely in sepia! Happy spring, Mary! Your photo has a satiny beauty. Lovely flower, Mary. I like how you gave it a dark background. I have a Michigan lighthouse up on It's A Blog Eat Blog World and Spooker is in her sepia glory over at House Panthers. Elegant image Mary. I like it very much. I missed you guys last week. I've been busy. I'm back for my weekly sepia fix. The black aura is something new to me, it's beautiful. Adds more drama. The detail really stands out when one is not distracted by color. I turned out beautifully, Mary! I had no idea Photobucket has photo editing features. I use Picasa for editing.